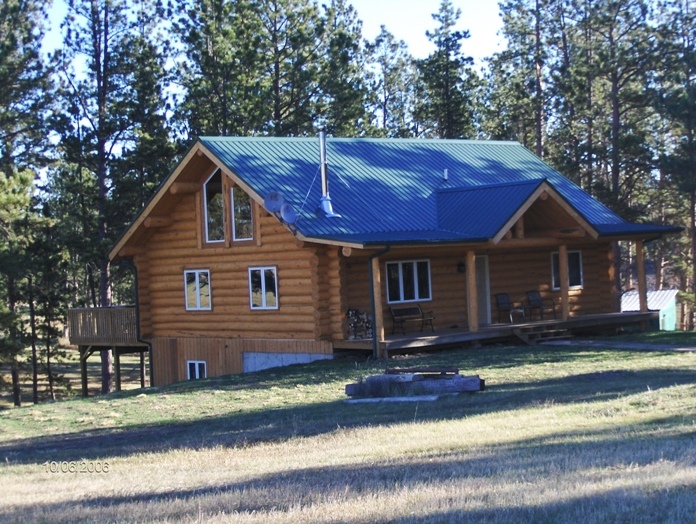 Come enjoy our beautiful new log home centrally located in the Black Hills 9 miles west of Hill City, SD. It is a secluded location where deer, elk, turkey, birds and other wildlife live and roam. It is open year round and has a hot tub for one of those romantic getaways or to use after a long day of snowmobiling, four-wheeling, horse-back riding, hiking or hunting. Fully furnished with all the amenities of home. Make your reservations today. Come spend a peaceful vacation at J & B’s Getaway. ©2019 SDBlackHillsCabins.com - All Rights Reserved.